It's that time of year when VIR closes for the holidays in anticipation of an exciting year ahead! Oak Tree Tavern closes Thursday, December 9th. VIR track and facility closes Friday, December 14th at 5:30pm. For a more detailed schedule see VIRnow.com and follow us on social media. 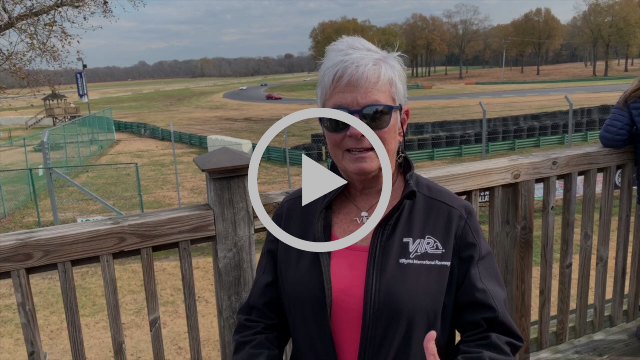 In case you missed it this year, take a look at this recap of the Holiday Laps and a special message from VIR's owner Connie Nyholm. Formula Experiences has plenty of options for the speed fanatic in your life! Check out these 2019 Gift Certificates. No experience needed for ages 14 to 70+. You will Drive High Performance Racecars for the Day! We are pleased to offer this holiday promotion with Formula Experiences. Click to watch what the winner of the Ultimate Driving Experience will receive. There will also be five second place winners of free ride-alongs in these cars. Contest rules are simple. No purchase necessary, must be 21 years old to enter, and experience must be completed in 2019. We will draw the winner on Dec 17th. The Oak Tree Tavern's last day open to the public will be December 9th. After this date, the Tavern will only be open for Holiday Parties. Contact Brenda LeCocq to book your Holiday Party today! In their recent article by Pro-Line Trailers, "Food Trucks vs. Food Trailers: Which Should You Choose?" they make considering your food truck options simple!